The Phoenix Film Festival is one of the most accredited festivals Matt Tompkins has ever screened at. 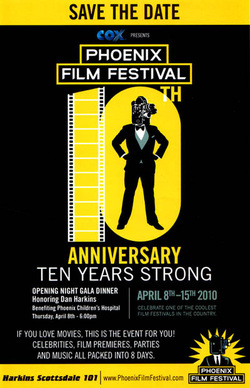 A stop on the road to the Oscar's, with many award winning independent films being screened at the Phoenix Film Festival, Matt's films Objectivity and Hide and Seek were selected to be shown in the Youth Division in the 2010 festival. 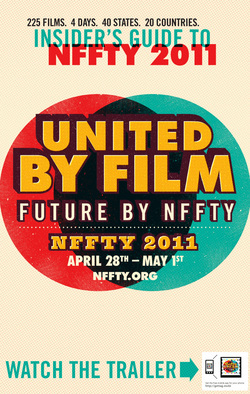 The NFFTY (National Film Festival for the Talented Youth) is comparable to the Oscar's for the youth of the filmmaking industry. Only the biggest and best filmmakers of our generation are selected to be a part of this amazing experience. Even though Matt's film Objectivity was not selected for any of the awards, Matt was still extremely happy to find out that his film had been selected to be screened in the 2011 Festival. With over 500,000 submissions from over 40 states, and 20 different countries, he believes that this screening may be one of his biggest accomplishments. The Woodstock Film Festival, known for being "fiercely independent" is a major film festival of Upstate New York. Matt was lucky enough to have his film Objectivity selected to be screened there. The 2010 Green Mountain Film Festival was Matt's first film festival in which he ever screened. Within the 2010 film festival, Matt screened three films: The Novelist, Objectivity, and Scuffle. He was proud be chosen out of the thousands of applicants the festival received. Matt sent more footage into the festival and this time returned with recognition. Five of Matt's films were chosen to screen, and four came home with titles. Hide and Seek, The 49 Steps, and Scuffle all won Honorable Mention in their respective genres, (Drama, Experimental, and Comedy). Objectivity won Best of Fest.